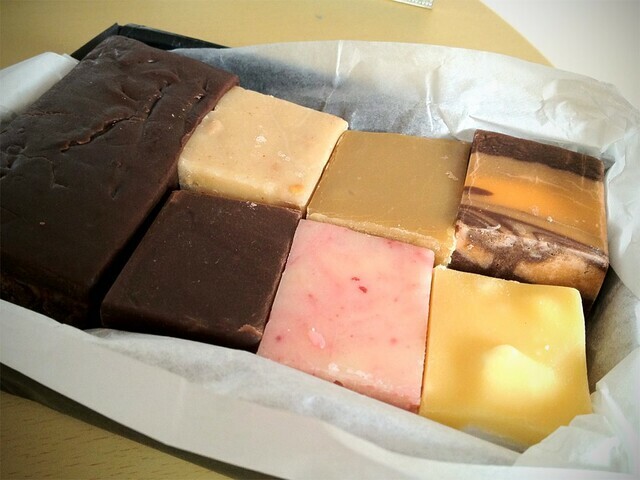 We get a selection of six fudge flavours from their usual 10-12, all of which deviate from the plain-Jane vanilla. A handwritten note inside tells us we have peanut butter, ginger, lemon meringue, raspberry ripple, chocolate orange swirl, and triple layer, as well as a massive slab of the bacon creation. Stand-out favourites are ginger, triple layer, and the peanut butter. The ginger packs a punch, with big nuggets of stem ginger, and provides a good tang in the same way our other favourite, Fentiman’s Ginger Beer does. The triple layer tastes more like traditional fudge, super creamy flavour, but with multiple textures and a chocolate edge. Texture-wise, all are just on the side of oozing-soft rather than crystalline-flakey. The peanut butter isn’t too far away from what you might expect – soft pieces of peanut buried inside, and it sticks to the roof of your mouth. Now I may love that…others don’t! Very creamy texture. Lemon Meringue is good, a sour fudge with small pieces of actual merignue stirred through. The lemon kicks at you then the meringue crumbles and melts in your mouth, which is pleasant. Raspberry ripple is similar, with just enough raspberry flavour to keep you interested – again, very sweet and creamy in texture. The bacon creation is very, very rich, as you might expect. Chewy bacon strips are nestled inside and give a salty contrast to the intensely sweet chocolate flavour. A little unrefined, but I’m sure they will develop this flavour to become a hit like it has done so many times in the USA. Interesting nonetheless, to see some intriguing flavours often coming out of the kitchen; others include rum & raisin, and vanilla cherry nut, as well as ongoing new flavours. Send them your ideas for flavour combinations?!? 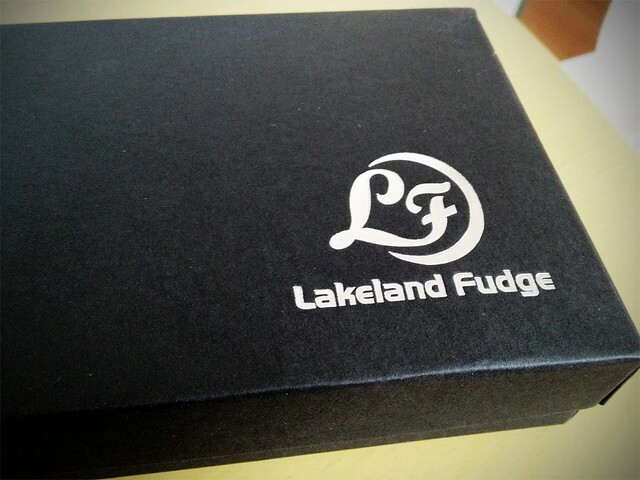 Pretty far away from traditional fudge, though sure to satisfy your sweet tooth, anyone in the South Lakes should see if they can pick some up, or locals can find Lakeland Fudge at the Quayside Market on a Sunday, or at loads of other farmers markets throughout the year. Treat yourself!